Life is a sensory experience that has -- over the past 125,000 years -- turned into a thinking process with less and less experience involved. This is one of the many reasons that people live today without experiencing the actual quality of their life. This is also a deep split that’s occurring behind the reasons for current physical challenges of disease, disorder, and dispute. Due to the severe lack of physical experience . . . these challenges are projecting from a frustrated head-brain that’s taken over the show. As Yogi Bhajan once quipped, “The human body has become a truck to carry around the brain and the stomach. The stomach to be fed, and the brain to decide what.” This is a far cry from the human body’s capacity . . . it’s an instrument of supreme consciousness with an inherent ability to literally control the elements of earth, water, fire, air, and ether. This is a body of mastery, and when placed in its proper perspective, a human bio-instrument is the most sophisticated event in this Universe. Not that there aren’t greater creations elsewhere throughout the cosmos, but in this sector, the gift of human life is a supreme gift of life. And, it’s at the center of this vessel, at the center of being centered, that there’s a constant continuum of the creative life forces where nothing changes at the center of anything . . . where everything is always available. 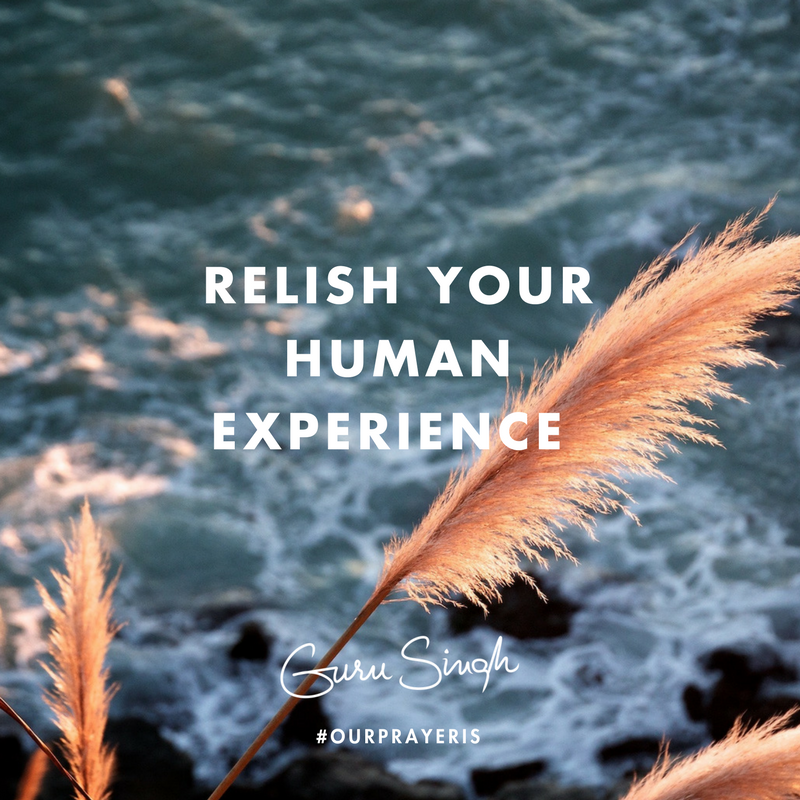 Our prayer is that you relish the experiences of your human experiences; that you give yourself the opportunities that are held at the center of these experiences, and live your life as a gift that’s completely alive . . . beyond what you can possibly imagine, and then even beyond that.